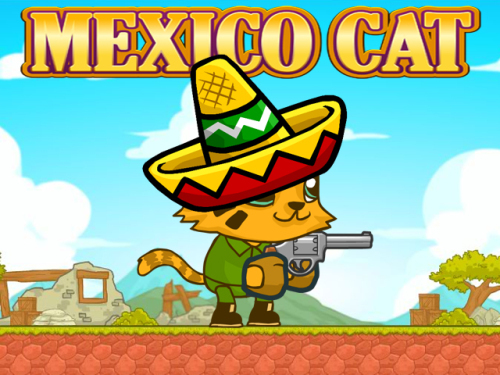 Description Mexico Cat is a great platform game. Mexico is under attack. Mexico cat is a local hero who only can stop the enemies. Your target is to past all levels and save the Mexico. On the end every level you have safe house to escape. Destroy all enemies and finish levels. Use arrows keys to move Cat and SPACE for shoot. Good luck!